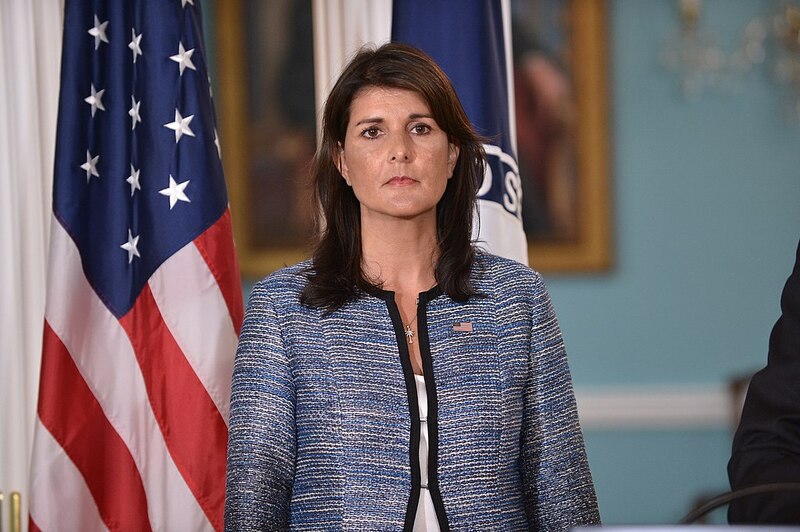 CNS News: During her keynote speech at the Alfred E. Smith Memorial Dinner on Thursday, UN Ambassador Nikki Haley said that while the Catholic Church is taking action to address the “moral failing” of the sexual abuse scandal, the church itself is performing miracles each day in places overseas that Haley has seen firsthand. Haley said the issue of sexual abuse is one that affects not just the Catholic family, but the American family. “Additionally, gathered here tonight are great leaders of the Catholic Church. I would be remiss if I failed to mention the serious difficulties facing the church. 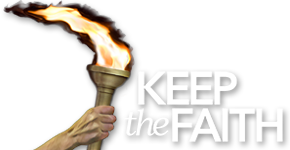 The issue of sexual assault is not limited to the Catholic family. It deeply touches the American family. The horrendous crimes that have been committed are harmful. There’s the devastation of the sexual abuse itself, and there’s the fact that the perpetrators of these crimes were people in a position of faith and trust,” she said. “The church’s place must be with the victims that carry the pain with them. I know the church leaders recognize its deep responsibility to address this moral failing, and it is taking action, but there’s another point I want to emphasize. 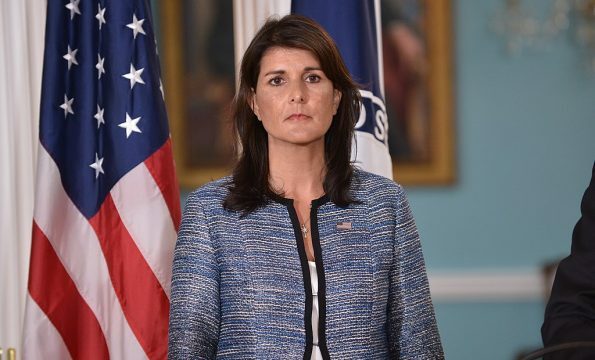 It would be tragic to allow the abuse scandal to blind anyone to the amazing good works the Catholic Church does every single day,” Haley said. “In the last two years, I’ve been to some very dark places where human suffering is on a level that’s hard for most Americans to imagine. I’ve been to the border between Colombia and Venezuela, where people walk 3 hours each way in the blazing sun to get the only meal that they will have that day. Who’s giving that meal? The Catholic Church,” she said. “I’ve been to refugee camps in Central Africa where young boys are kidnapped and forced to become child soldiers and young girls are raped as a matter of routine. Who was in the forefront of changing this culture of corruption and violence? The Catholic Church,” Haley added. Haley said she’s come across the Catholic Church “doing incredible work” to uplift “millions of desperate people” almost everywhere she’s been on humanitarian missions. “It is serving God’s will. There are real problems, yes, but we must not lose sight of the miracles that are performed everyday. Those miracles are the way of the church. And as the proud daughter of Indian immigrants, who got the honor of representing my state as governor and our country as United Nations ambassador, I will say those miracles are the way of America,” she concluded. “The line of distinction between professed Christians and the ungodly is now hardly distinguishable. Church members love what the world loves and are ready to join with them, and Satan determines to unite them in one body and thus strengthen his cause by sweeping all into the ranks of spiritualism. Papists, who boast of miracles as a certain sign of the true church, will be readily deceived by this wonder-working power; and Protestants, having cast away the shield of truth, will also be deluded. Papists, Protestants, and worldlings will alike accept the form of godliness without the power, and they will see in this union a grand movement for the conversion of the world and the ushering in of the long-expected millennium.” The Great Controversy, page 588.